There’s plenty to learn if we will just pay attention. Here are a few things I learned in the last month. 1. Fargo is more than a movie. When The Men in Blazers call something The Best Show since The Wire, well, I had to check it out. And it didn’t disappoint. Fargo has great and interesting characters, beautiful scenery, and insight into the big questions of life – all without a wood chipper. Billy Bob Thornton is frighteningly convincing as a serial killer in season one and Kirsten Dunst is excellent as a wife trying to make the best of her life while being chased by various branches of the mob in season two. Teaching a weekly Bible Study at my church has reminded me that we don’t have to get cute and overthink how to invite people to church. People are hungry for real spiritual food and when you offer them a chance to come and learn about who Jesus is and how we wants them to live their lives, they will come. Or at least the edges of our church are angry online. Listening to those on the edge spat over various reports and issues convinces me that they have such different understandings of what the Gospel actually is, the ethics of discipleship, and the primary task of the church that it makes conversation and growth increasingly difficult if not impossible. Fortunately, the edges aren’t the only ones speaking and writing and leading. I’m grateful for leaders and writers who help us encounter grace in the midst of conflict and remind us of the truth that One Lord, One Faith, One Baptism makes room for all kinds. There is a probably a longer post coming on this at some point, but stepping into a leadership role where the buck actually stops with you is a non-stop experience. There isn’t a day or really a time when you aren’t thinking about what it is important, struggling to decide what issues are worth sticking your nose into, and how you can help people you love and care about grow into the kind of life that God wants for them. It is a rewarding, yet at times exhausting, task and calling. And you can’t try to do it for any length of time without becoming convinced that it is a calling. 5. Everyone needs someone who just gets you. And my wife gets me. She gave me a coffee subscription which ensured fresh snobby coffee is in our mailbox every two weeks with a t-shirt to match. Perfect. You can get your own here. There’s a lot of good stuff out there that will inspire you, make you laugh and help you think. Here are just a few that I’ve enjoyed this month. Youtube: The Gilbert and Sullivan Mass, Hilarious satire on mission, preaching and worship. Those Lutherans are funny and, unfortunately, frighteningly accurate. iPod: Drew Holcomb and the Neighbors: Start here and then listen to everything you can find. How about you? 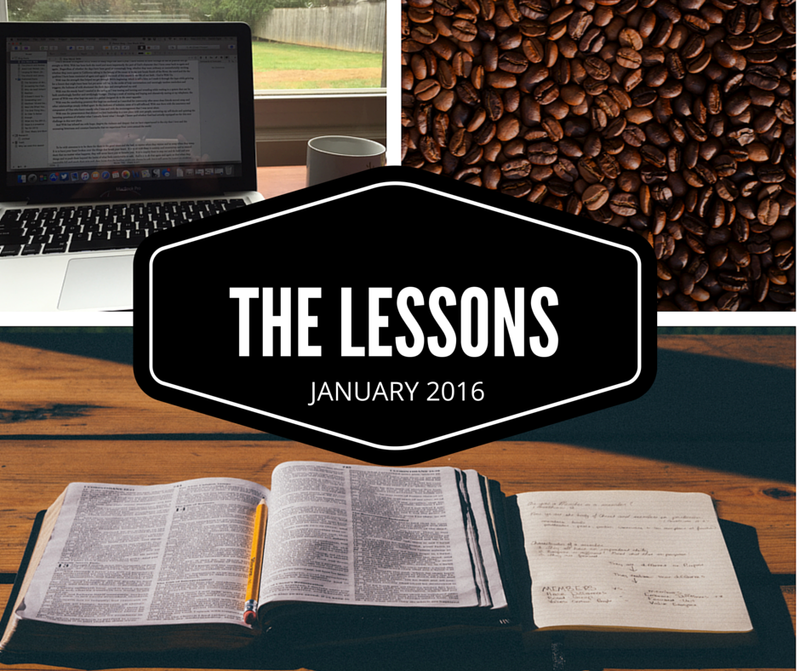 What did you learn this month?